When it comes to productivity suites, Microsoft Office is the first name that pops up in our minds. In fact, Microsoft Office is so popular and widely used that it’s almost impossible to come across a computer user who is not aware of Microsoft Office. As we all know, Microsoft Office is the benchmark for its competitors. Most users believe that there is nothing like Microsoft Office in the world of Office productivity applications. That said, not all users can afford the expensive Microsoft Office. We can safely say that not all users actually need Office for their work. There are plenty of free productivity suites around with features that most users actually need or care for. 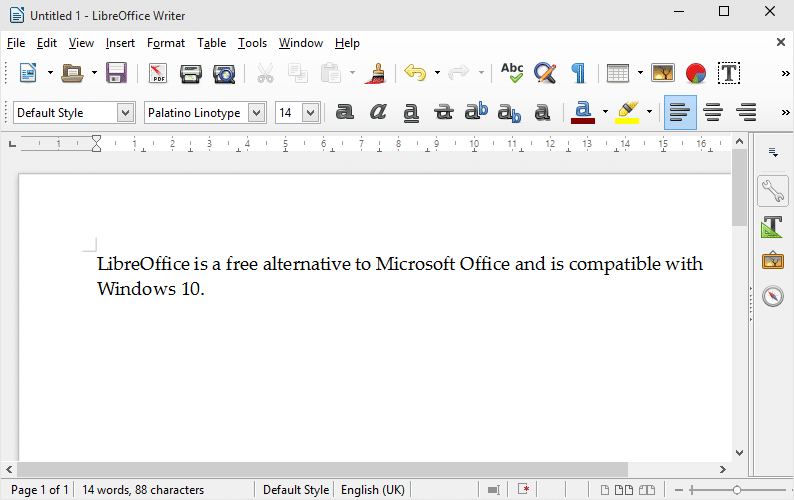 LibreOffice is one of the many free alternatives to Microsoft Office. As with the case of Microsoft Office, LibreOffice also includes applications to deal with documents, spread sheets, and presentations. The program is fully compatible with all recent versions, including the latest Windows 10 operating system. The UI of LibreOffice is not as elegant as the current version (Office 2013) of Microsoft Office. 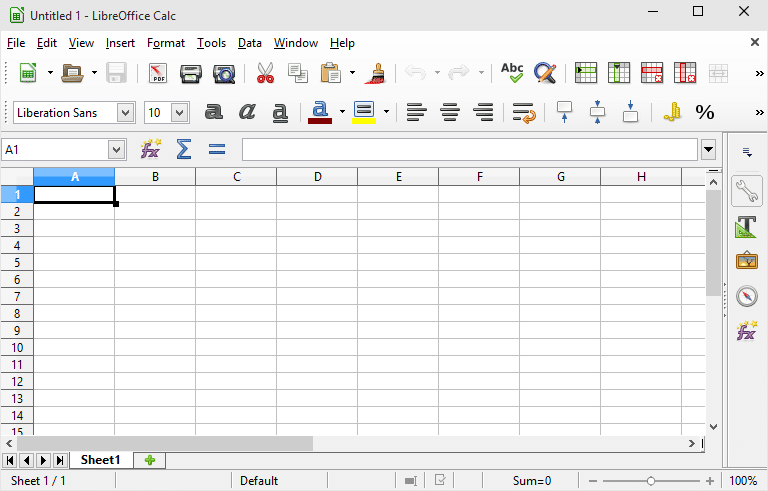 As you can see, the UI is quite similar to Office 2003, which lacks the easy-to-use and navigate Ribbon UI. That said, the UI is definitely usable. More importantly, LibreOffice supports documents created on Microsoft Office. That is, if you have files created on Microsoft Office, you can open and edit those files on LibreOffice without any issues. Likewise, LibreOffice allows you save files in formats supported by Microsoft Office. The other worth mentioning thing about LibreOffice is that we can enhance LibreOffice applications by installing extensions. You can visit the LibreOffice Extensions page to browse and install required extensions. When you visit the download page, you’ll see two options: LibreOffice Fresh and LibreOffice Still. While both are free, the Fresh version includes all the newly introduced features (just like Beta) and you might encounter minor issues while using it. The later one (Still version) is the stable version of LibreOffice. We recommend you go for LibreOffice Still for hassle free experience. By the way, there is another reason to use LibreOffice. 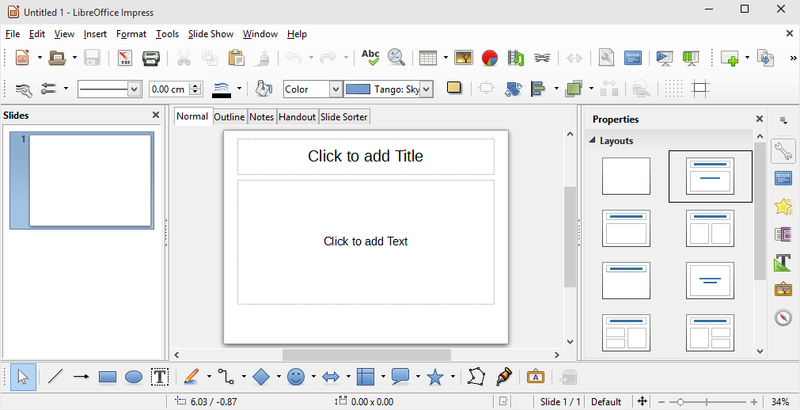 A portable version of LibreOffice is also available to download, allowing you to carry your Office suite on your flash drive or use the program without installing it. Overall, LibreOffice is a great Office program. The program doesn’t even come close to Microsoft Office but considering that it’s free, we can easily say that it’s one of the best free alternatives to Microsoft Office. Softmaker Free Office is another decent alternative to Microsoft Office. Libre Office is efficient and will be easy for me to use. I am confident that Libre Office is the office program that I can depend on. Can one use Win 10 mail app with LibreOffice as the client? I want to create address labels for the Christmas cards I send. I have not been able to do this. Help! I like the LibreOffice which my techie installed but I have not figured out how to create and address No. 10 envelopes which I would like to open automatically. Could you give me the step by step on creating and filling in No. 10 envelopes? Thanks for any help. I would like to download Lebre Office for windows 10 but I keep getting tangles with all of the other stuff that I do not want. please tell me how to get around the other items. how to open docs in LO? I Love Libre Office and just purchased a Win 10 PC I D/Led LO but when I go to open a doc, it freezes on the pop up that says I either must try or buy MSoft Office. How do I open my docs in L O? thanks.